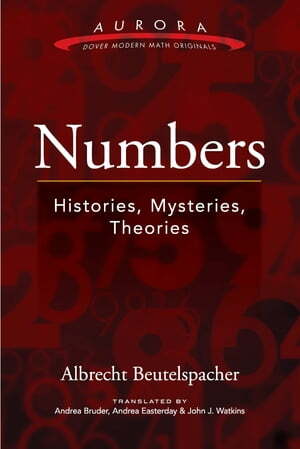 Collins Booksellers - Numbers by Albrecht Beutelspacher, 9780486810461. Buy this book online. Posing the question "What exactly is a number?" a distinguished German mathematician presents this intriguing and accessible survey. Albrecht Beutelspacher ? founder of the renowned interactive mathematics museum, Mathematikum ? characterizes the wealth of experiences that numbers have to offer. In addition, he considers the many things that can be described by numbers and discusses which numbers possess special fascinations and pose lasting mysteries. Starting with natural numbers, the book examines representations of numbers, rational and irrational numbers, transcendental numbers, and imaginary and complex numbers. Readers will explore the history of numbers from Pythagoras to Fermat and discover such practical applications as cryptography and barcodes. A thoughtful and enlightening introduction to the past, present, and future of numbers, this volume will captivate mathematicians and nonmathematicians alike.